Just to explain, the assignment was to do a painting on a book, movie, or tv show. Batman has done all three, plus he's pretty cool. 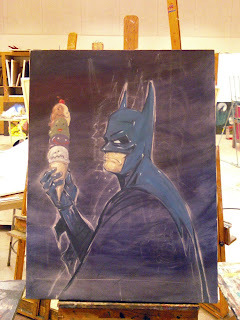 In the painting, batman is staring angrily at his ice cream cone of villains.